This event is for all ages; however, any children under 13 MUST be accompanied by an adult or guardian at all times and NOT left in the care of an older teen. We will meet in the food court, eat lunch or snack and then shop or just hangout and chat. 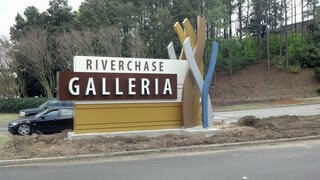 No matter your child's age, please plan to stay in the Galleria. Please do not drop off your child. Everest Academy nor I are responsible for your child. I will be leaving promptly at 3:00 p.m. Please make sure your child is not left unattended.